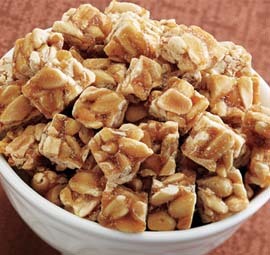 Our famous Homemade Peanut Brittle combines crunchy farm fresh Virginia peanuts with sweet, crunchy brittle for a marriage made in heaven. 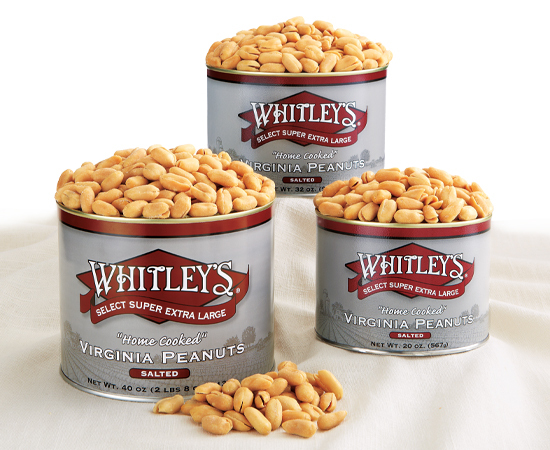 Ingredients: Peanuts, Sugar, Dark Corn Syrup (Corn Syrup, Refiners Syrup, Caramel Flavor, Salt, Sodium Benzoate (used to protect quality), Caramel Color), Water, Sodium Bicarbonate. 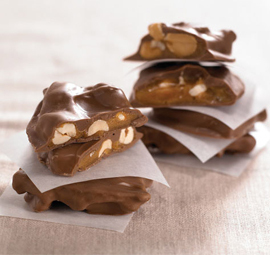 Just like the way it was made in my mom's day and that had to b e at least 80 yrs. ago. 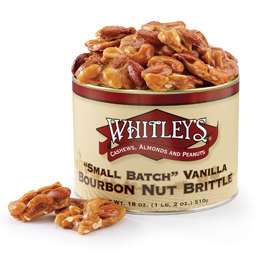 We wouldn't purchase it from any other company!! 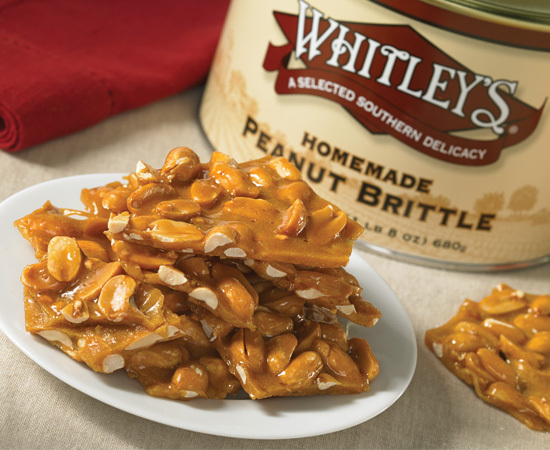 Whitley's Peanut Brittle is awesome...if you like peanut brittle with a lot of peanuts this is the perfect recipe.